Simply put, a host is a managed server that allows others to access your project via the internet. Most people do not think about this, but every single web property – every blog post, news article, image, and video – is hosted on a server, which is why its accessible from any device. In contrast, a file on your desktop is only accessible by you from that specific computer. Common cloud hosting providers include Amazon, Google, Microsoft, DigitalOcean, GoDaddy, HostGator, and many more. Looking from the outside, it can be overwhelming to select the correct host – and the correct hosting offering – for your needs. In this article, we are going to explain why Tragic Media has had tremendous success working with Google Cloud and how choosing the right hosting solution can increase your project’s performance, reduce downtime, and save you money all at the same time. When it comes to the cloud, there are 3 cloud providers that comprise the vast majority of the market. They are Amazon Web Services (AWS), Google Cloud Platform (GCP), and Microsoft Azure. While it is common to hear more names being thrown around, anyone who is not Amazon, Google, or Microsoft does not own their own hardware. These alternative vendors are resellers – buying in bulk from one of the big 3 and then reselling it at a markup to customers. As a general rule, resellers restrict the number of features available to customers and add a considerable costs. In our experience, customers can save dramatically by going with a tier-one provider like Google. One client, My Italian Family, went from paying $250/month for a dedicated server to $30/month on Google Cloud Platform – an 88% cost savings – while increasing performance and uptime. Similarly, the San Diego Chapter of the American Marketing Association (SDAMA) saved hundreds a year by switching to Google Cloud. In addition, their site has not crashed once, a weekly occurrence previously, since the move. SDAMA also took advantage of a $300 credit for switching to Google Cloud Platform, which covers nearly a year of hosting costs right off the bat! At Tragic, we recommend that businesses and individuals stick to the large 3 vendors. While their offerings may seem very technical, selecting either AWS, Google Cloud, or Azure will prove to be a much better choice over the long run. Google Cloud Platform offers a suite of cloud computing services, allowing people to host a simple website or power cutting-edge machine learning applications. In the last few years, we have enabled 15 clients to switch more than 30 web properties to GCP. Throughout this process, we have learned a fair amount of what works – and what doesn’t work – in the world of cloud hosting. First, let’s explore why we enjoy using Google Cloud Platform. As developers, Google makes it straightforward to roll up our sleeves and deploy a web service. New sites can be launched in a matter of minutes, and Google also accommodates developers looking to migrate more complex projects. For My Italian Family, we successfully moved an ecommerce site, complete with all of their user data and transaction histories. Our team was also able to transfer an entire Angular + Drupal installation for FreeFashionInternships and their 30,000+ users. We enjoy using Google’s platform because they provide powerful dashboards for developers. For instance, it takes a few clicks to manage individual access to multiple project resources. Furthermore, Google is at the cutting edge of machine learning (ML), artificial intelligence (AI), natural language processing (NLP), and computer vision – so if your project requires access to these tools, you are well catered for. From a business perspective, GCP offers a world-class offering. Across a number of different clients and situations, we have found faster load times, little to no downtime, and a large partner and vendor ecosystem. If you would like to extend the Google Cloud Platform, there is a diverse set of tools that “plug in” right out of the box. Our team has had great success marrying Google’s hosting with CloudFlare. CloudFlare is a content delivery network (CDN) with a bunch of great features baked in. Put simply, a CDN allows your content to be cached around the world – providing improved load times and reduced load on your servers. CloudFlare also offers an SSL certificate, so your website can be served over HTTPS. This means better security, improved rankings on search engines, and the lock icon in your user’s web browsers. 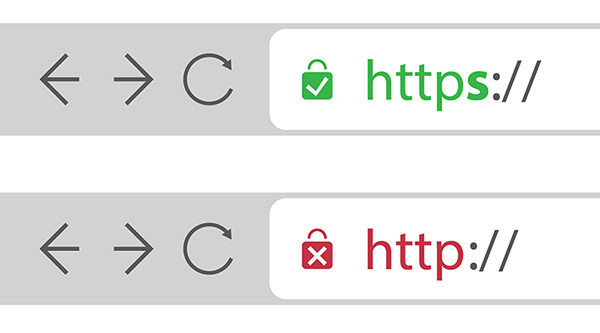 Users are become more savvy, seeking out a secure connection and if that’s not enough, Google has started to punish sites that do not have an SSL certificate. Did we mention all of these features are free?! CloudFlare has an incredibly generous free tier. Configuration takes less than one hour, and provides a robust solution for companies looking to dramatically improve their website’s performance and overall level of professionalism. For small- and medium-sized clients, we recommend a $30/month Google Cloud Platform server and the free tier of CloudFlare. This combination provides enough headroom and features to get a professional website or web app up and running. That said, we also have first-hand experience of spinning up instances that need to scale to tens of thousands – or hundreds of thousands – of users. In these cases, we perform a more detailed analysis and provide a custom-tailored solution for clients. At Tragic Media, we are constantly evaluating new technologies and tools – partly because we want to know what’s out there and partly because we love our jobs! The difference between a poor host and a first tier provider is massive. It is one of single largest improvements a company can make to their technical stack. Across the board, we are seeing faster load times, less (or zero!) downtime, and thousands a dollars a year of cost savings. So the question is: Can you afford to keep overpaying for your web hosting? Whether you are launching your first blog or need to keep a mission-critical piece of software up and running, we can help. Our team has deployed complex projects on Google Cloud Platform that are cost effective, reliable, and blazing fast. Get in contact with us today to learn more!